International Trip/ iPhone on booking with us! Pristine Prolife in Wakad, Pune by Pristine Properties Builders is a residential project. 5 Star rating from CRISIL. Keyless and Double Height Entrance Lobby. 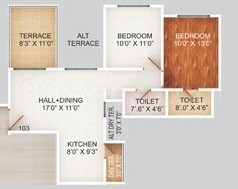 The size of the Apartment ranges in between 419.8 sq.ft.  and 2064.0 sq.ft. Pristine Prolife price ranges from 53.93 Lacs to 72.98 Lacs. Pristine Prolife offers facilities such as Gymnasium and Lift. The project has indoor activities such as Skating rink. Bank loan approved from HDFC home loans, ICICI, State Bank of India, Canara Bank, Bank Of Baroda, Bank of Maharashtra, Union Bank of India, AXIS Bank LTD. and LIC Housing Finance Ltd. It has 50% of open space. Pristine Prolife has a total of 18 towers. The construction is of 12 floors. Pristine Prolife brochure is also available for easy reference. Where is Pristine Prolife located? Wakad, a prime residential locality for house seekers in Pune. What apartment sizes are available in Pristine Prolife? The project offers apartments sized between 421.0 sqft and 1069.0 sqft. What is the area of 1 bhk in Pristine Prolife? 1 BHK units in the project are available in a size of 421.0 sqft. What is the 2 bedroom size in Pristine Prolife? 2 BHK units in the project are available in a size of 533.0 sqft to 1069.0 sqft. What is total area of 3 bhk in Pristine Prolife? 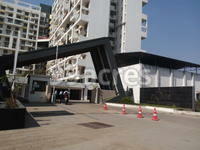 3 BHK units in the project are available in a size of 833.0 sqft. What is total price of 2 bhk in Pristine Prolife? The price of 2 BHK units in the project ranges from Rs. 5445695 to Rs. 6751185. Concealed copper 3 phase wiring with 3 phase M.C.B. Pristine Properties is a 28 years old, the only company in Pune Maharashtra who has ICRA and CRISIL 5 Star rating at this point. Till today, we have completed 40 Projects in and around Pune We are into Construction Business, trading Steel and Cement and Hospitality Industry. We are the only company in India to get an award for EXCELLENCE IN POSSESSION that means we deliver our Projects much before time. Hi, I have just booked a 3 BHK in Prolife! The location looked good close to the highway. Any reviews ? I would like to know if they stay on schedule and committed to their dates of possession. They are now quoting 5000 per sqft. Is that a true information ?